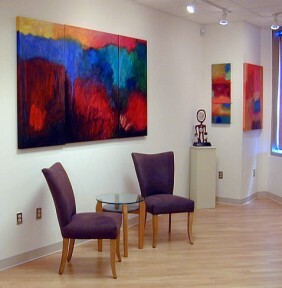 Here is an gallery installation shot of the big triptych that I talked about in yesterday’s blog. This triptych is 48 x 84 inches overall. It’s fun to think that it was based on a little digital study. 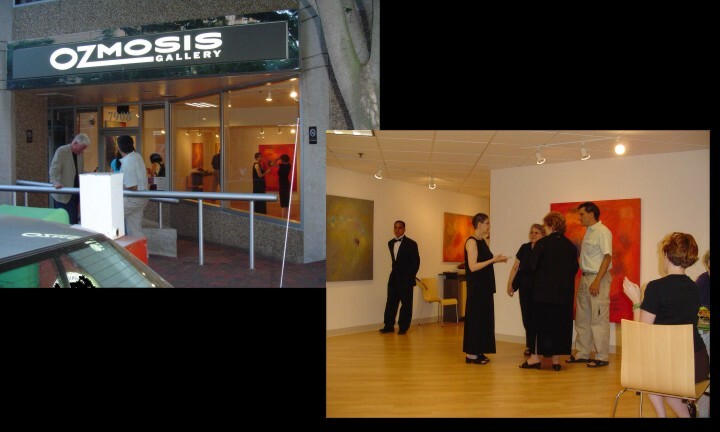 This was a solo show at Ozmosis Gallery in Bethesda, MD, now closed. We had a good run while it lasted. I haven’t done any of these Color Field style paintings for about the past two years. But I do still have several of them in my studio inventory. Martha, the colour field paintings are wonderful. I know it’s nice to sell but sometimes it’s even nicer to have them back in inventory for a while for inspiration or just the absolute pleasure of enjoying them again. Thanks for sharing the pics. Thank you, Terry. It is nice to have them around. I could never afford them if I had to buy them! 🙂 I have sold quite a few of them, and others are earning their keep as giclees. So that’s nice. Yes, the snow melted. I think I now know how much is enough. About a week’s worth! WOW! 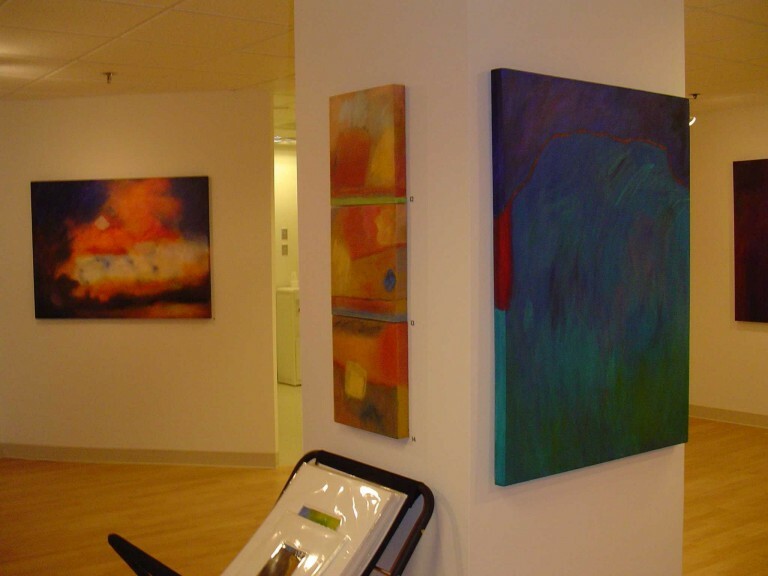 These paintings look wonderful, especially the large triptych. Do you think you will do more Colour Field paintings one day? These are just so cool. Thank you, Sandra! Yes, I do think about doing more. My closest artist friends tell me I shouldn’t think about whether or not I can sell them, just paint. It’s probably good advice. These are stunning Martha! I liked them in yesterday’s blog but love them with a bit more context to show them off. So glad you like them, Terrill. Sometimes I just have to dust off the old pictures and take a trip down memory lane. Most of the time on the blogs we see cropped shots of paintings. It is great to see these beautiful works hung. So good to see the actual scale of these. The triptych is amazing! Thank you, Seth! Yes you’re right – it’s sometimes difficult to visualize a painting just from a cropped photo. I should haul out more installation shots and show them sometime.